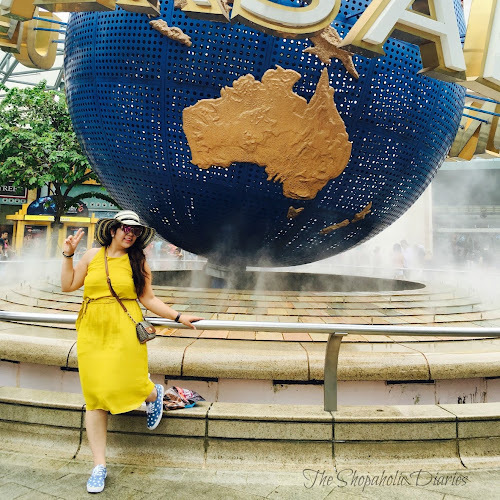 OOTD - A Dotty Affair | ASOS Skater Dress and CROCS Bellies | The Shopaholic Diaries - Indian Fashion, Shopping and Lifestyle Blog ! Enjoying the chilly winters? I surely am! After all I finally get to wear my cozy jackets and knits but I do miss the sunny mornings - its so foggy in Delhi even at noon. And the best part of winters is also that you get to mix-up your summery dresses with tights and jackets instead of keeping them stocked at a corner. That's why when I ordered this cute polka dots Skater dress by ASOS- I knew it will be a perfect choice for all seasons. 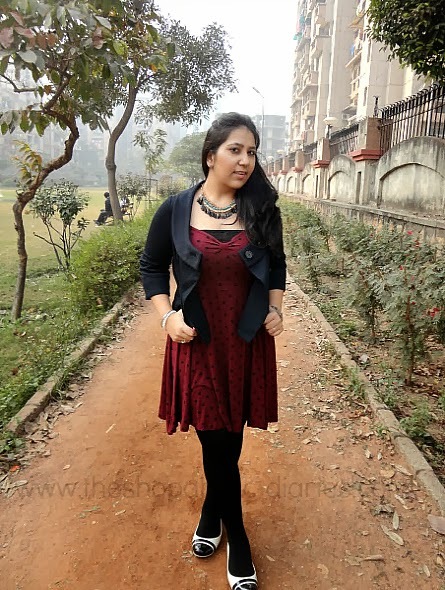 I paired the dress with warm tights and a cropped navy jacket which I had picked from Sarojini Nagar market a couple of years ago. My new monochrome bellies from CROCS were a perfect match with the outfit. This is my first pair of CROCS and I fell in love with the comfortable fit and minimal style. I believe these shoes can also look good with a smart-casual outfit like chinos, tee and a blazer. Do you also own a pair of CROCS- aren't they the most comfortable shoes one can ever get? What are your views on my outfit? Let me know in the Comments below. That dress is so cute and figure flattering. I don't own any crocs, but the universal opinion I always here are that they are super comfortable. Lovely outfit soo insync with fall trends. cool outfit! Love the leather jacket and cute dress pairing ! NIce look darling, you look beautiful. Let your BOOTS do the talking this Winter! OOTD - Kimono Top and Sequin Pants!